I agree Jonne, the new Mac Mini is a sleeper product. If I already had a thunderbolt monitor I’d be interested. The problem is, the iMac is such a great deal for a more powerful computer with a great screen. 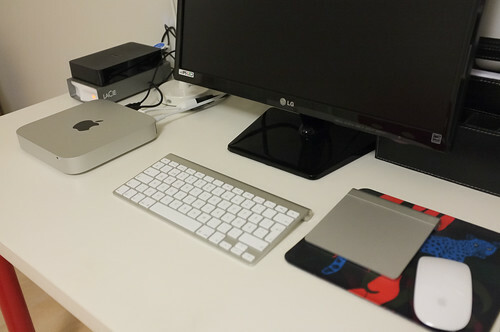 If you got the iMac you could use your current monitor as a second monitor. And, what’s great about the iMac is that all the components are bigger, more robust, and cheaper. If I were going to move away from portable computers I’d get an iMac, it’s the best bang for the buck. Richard, I agree with you. I was very tempted on iMac but the cheapest version is about 1300 euros (Mac mini was 713 euros). That is quite a big difference even if iMac is a better computer. Are you getting the new fusion drive in it? I’d say that would be a great thing for your photography and general use. Richard, I have a basic Mac mini model (only RAM added to 8 Gb) with 500 Gb hard drive. I think this budget model fullfills my needs nicely at the moment.